Please join me for a beautiful event: hiking, Silent Hike, and Yoga! 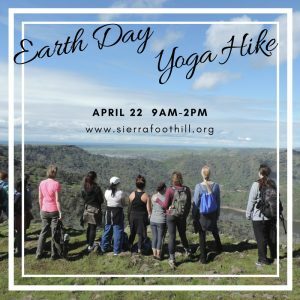 $10/person, $20/family, free to SFC members All proceeds go to: @sierrafoothillconservancy Come on out and support a great cause! Loaner Yoga mats available. This is going to be a fabulous class. Your first pint is included with your registration. 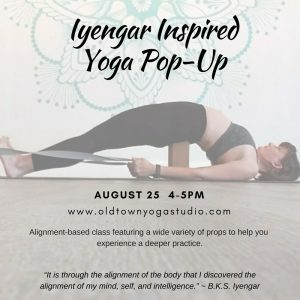 Looking to add more Yoga into your life? This week, I have many options to choose from! 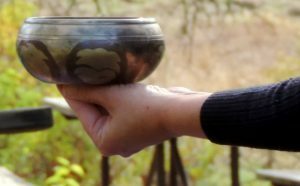 In addition to my regular weekly offerings, this week I will be subbing for two fabulous teachers (Danette and Christine); please check out Thursday’s Chair Yoga class at 10:30 and Friday’s Beginning Vin at 6pm. 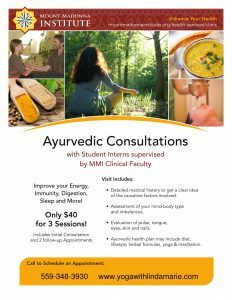 Interested in learning what Ayurveda has to offer? 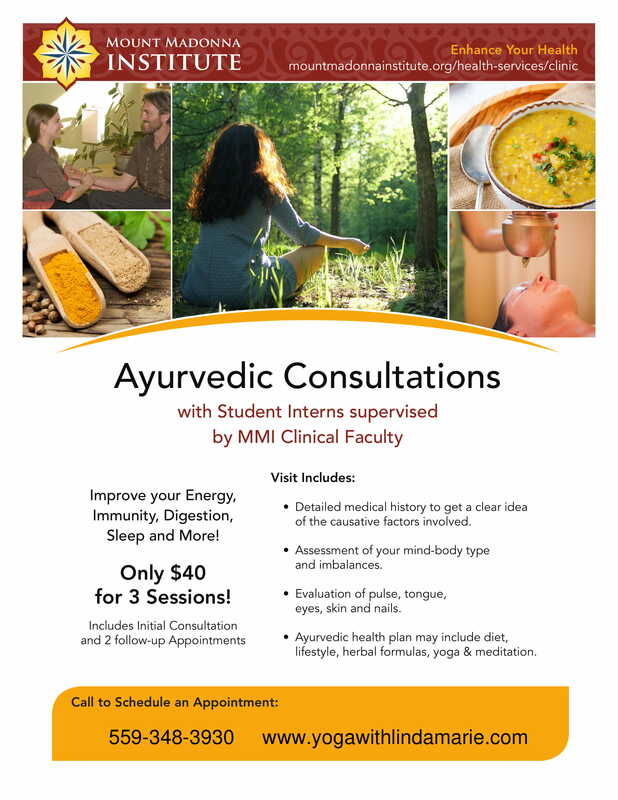 Why not give yourself the gift of Three Ayurvedic Consultations for just $40! These are part of my externships for my AHC certification, supervised by my highly experienced Ayurvedic Practitioner/Yoga Therapy mentors. All information is confidential. All wellness plans will be designed specifically for you. Best of all, recommendations are simple, easy to apply, and they work! Consultations are in person. Gift Certificates are available! Reminder: there will be no Yoga at the Library Tuesday Morning so you can rock your vote! However… we will be having Level 1 Vinyasa 6pm Tuesday night at the NEW OTY Studio!!! 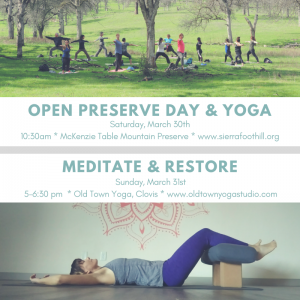 Please join me for a peaceful meditation and silent hike on the beautiful McKenzie Table Mountain Preserves. You will learn gentle breathing practices to calm the mind, experience two meditation sessions, and enjoy the tranquility of a silent hike in the foothills. All levels are welcome. The class is $10 per person and free to SFC members. Friday, September 28th, I’ll be offering another amazing Goat Yoga class at the Kings River Winery in Sanger, CA and I hope you can join me! We’ll share our practice with about 15 adorable baby goats! 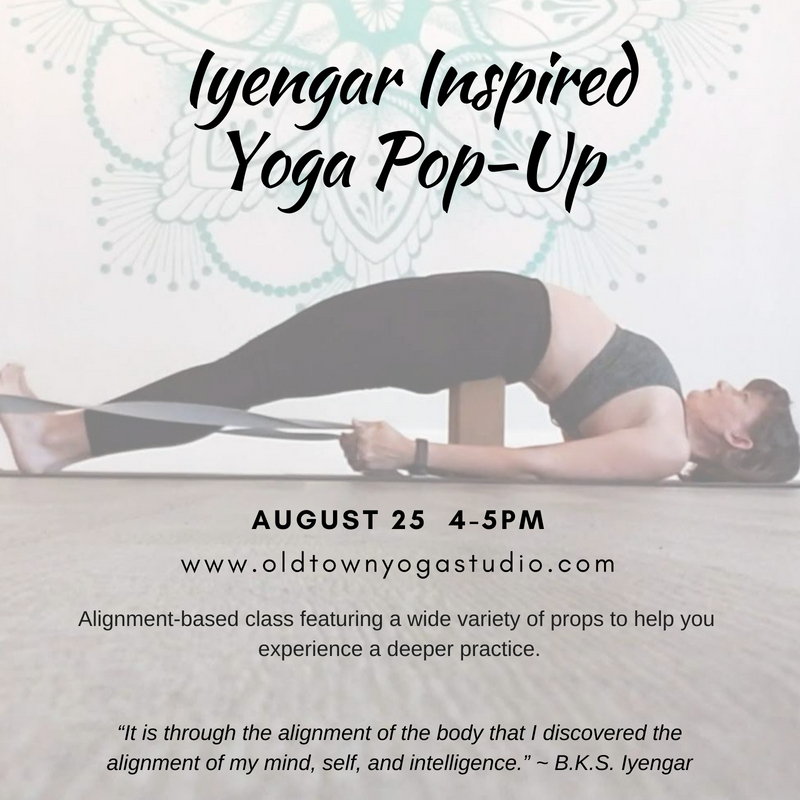 In this alignment-based Hatha Yoga class, poses will be held for longer periods of time with the help of a wide variety of props to support and deepen each asana. This class is designed to systematically cultivate strength, flexibility, stability, and awareness. Space for this workshop will be limited. All levels and abilities welcome. In this introductory class we’ll cover all the Yoga basics, including breathing, dynamic movement, key asanas, static stretches, and more. In this “discuss/demo/do” style, I will be walking you through each step, with room for questions and exploration. You will then tie it all in together in a short flow and end in a nice, soothing savasana. You’re guaranteed to leave feeling empowered, confident, and ready to take on your next class! Handouts will also be provided. 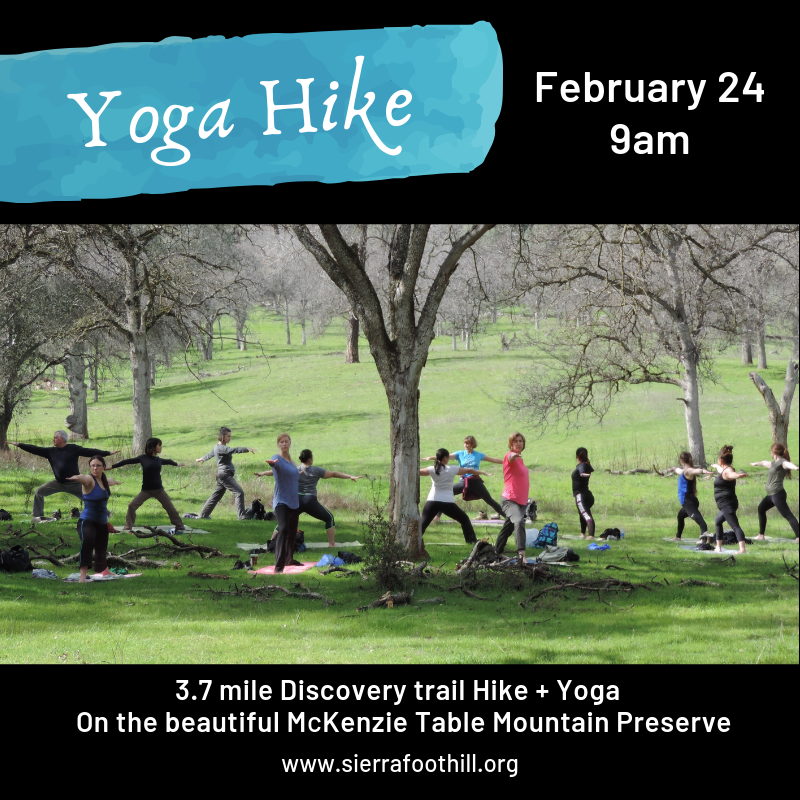 Come enjoy a 6-mile, 1,000′ gain hike on the beautiful Mckenzie Table Mountain Preserve. After our hike, I will guide you in an All-Level Hatha Yoga class integrating principles of breathing, body awareness, core strength, and contemplation. Rates: Free to SFC members, $10 per person for non-SFC members. 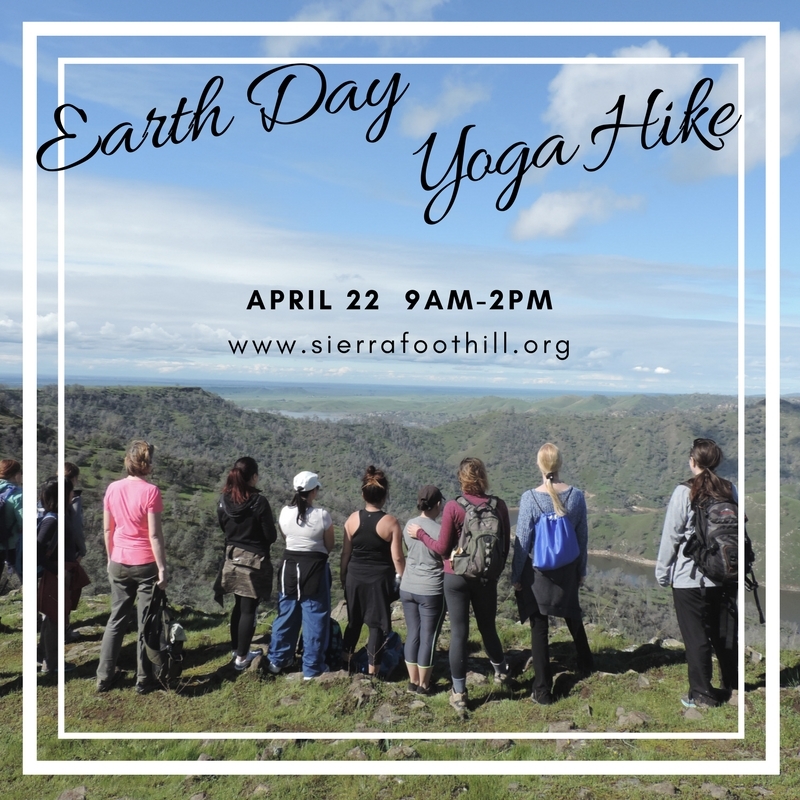 All of the proceeds from these classes go directly to the Sierra Foothill Conservancy, supporting their effort to preserve our land for future generations. Interested in Yoga but unsure about how to begin? Currently practicing but have questions? This class is for you! We will review the what, why, and how of Yoga including safe and effective alignment for 20 key Yoga poses, breathing practices, mobility exercises, and relaxation. This class is designed to empower you with both confidence and greater understanding. Come stretch your stress away under a canopy of Oaks on the beautiful Mckenzie Table Mountain Preserve. 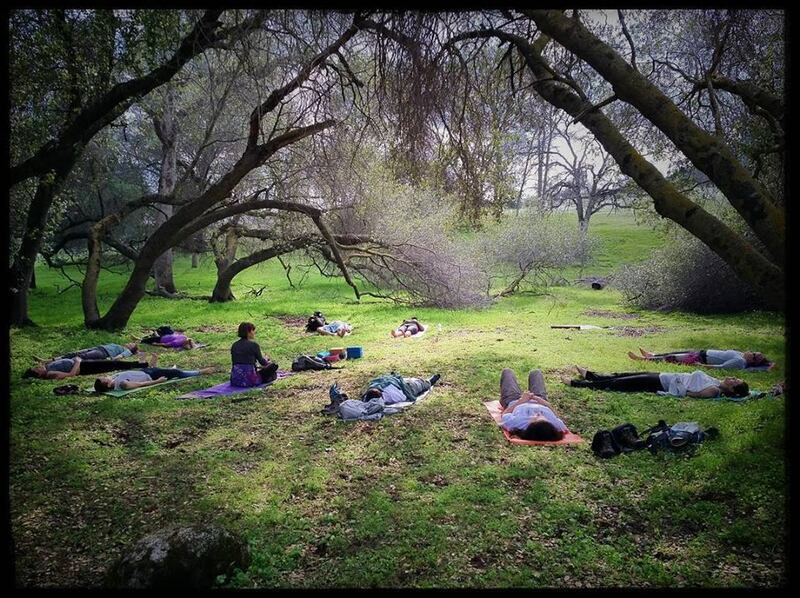 After enjoying a brief nature hike, I will guide you in an All-Level Hatha Yoga class integrating principles of breathing, body awareness, core strength, and contemplation. All levels and abilities are welcome. 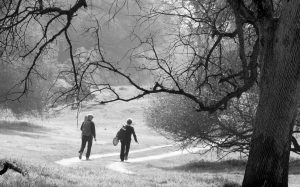 These classes are offered seasonally through the Sierra Foothill Conservancy. Share the Yoga experience with friends at your favorite location or in a Yoga studio. Don’t have mats? No worries, I can supply them at no additional cost. Enjoy a group class that is designed specifically for the needs of you and your group. 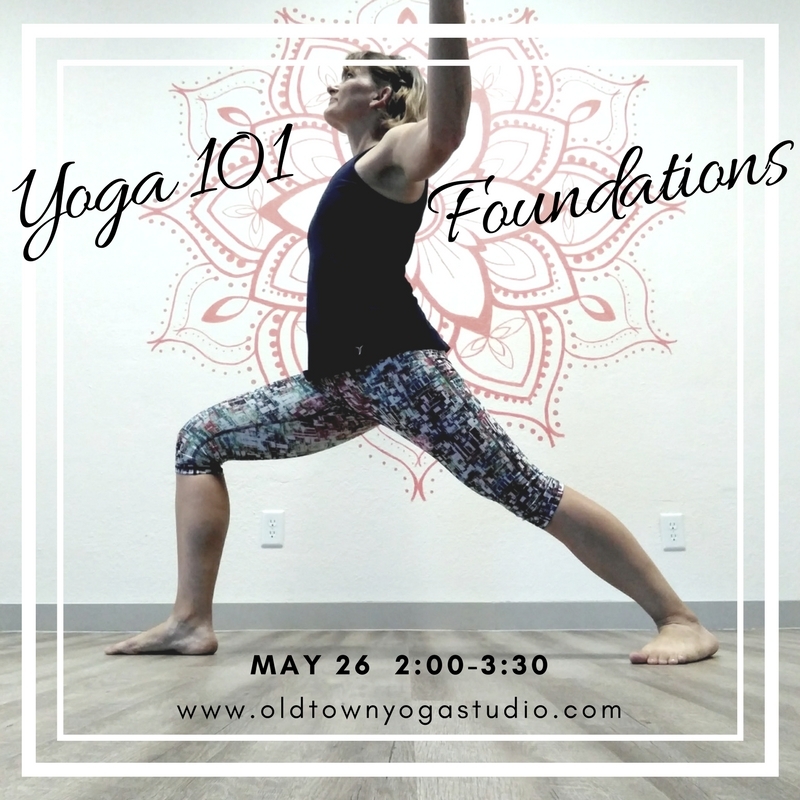 Classes may include practices from a variety of traditions including: Hatha Yoga Asana (poses & exercises), Restorative Yoga, Meditation & Pranayama. What better way to enjoy the healing of Yoga! Looking to bring Yoga to your school or church? 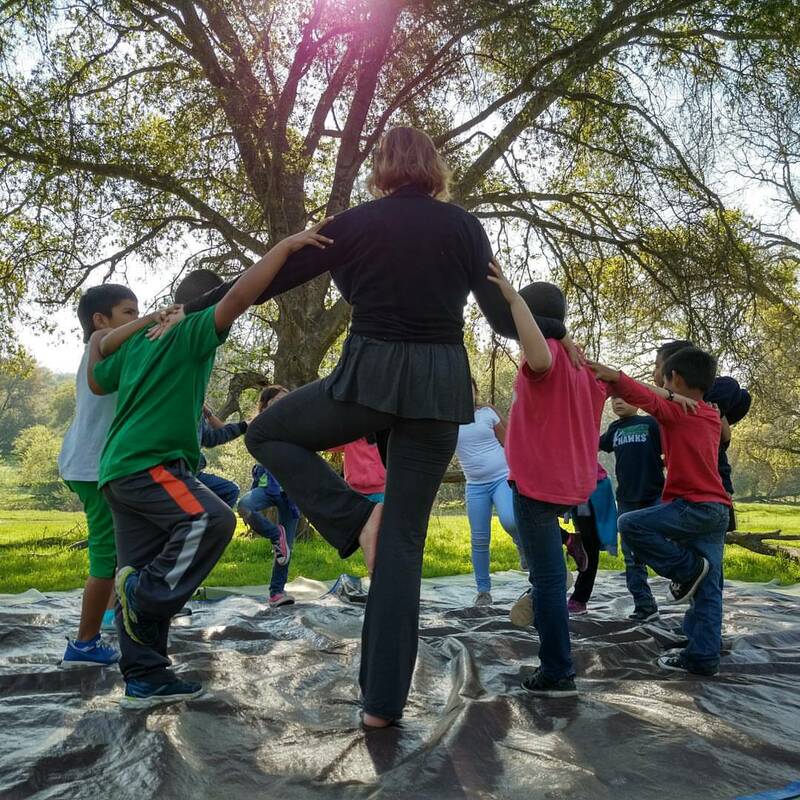 My 30 minute Kid’s Yoga classes include fun exercises to calm active minds, strengthen wiggly bodies, and increase flexibility. Classes can be designed to blend with your school curriculum. Have mats will travel! Rates begin at $60 per session (for 4-20 students). 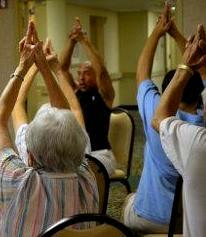 Specifically designed to enrich the lives of seniors, traditional yoga postures, gentle QiGong practices, and breathing exercises are modified and performed in a seated position on a chair and/or standing with the support of the chair. Build strength, preserve mobility, and encourage balance. Classes last 45 minutes. Perfect for small groups of friends. Senior classes are offered on a sliding scale based upon location.